Watch full Ginga Eiyuu Densetsu Season 4 Episode 24 English Subbed full HD online. Ginga Eiyuu Densetsu Episode 110 English Subbed online for free in HD. Dream: to See it to the End. Schumacher is caught by the Imperial police. Schumacher confesses that he thinks the last of the Earth cultists have landed on Phezzan. Julian and Reinhard exchange stories and political points on their trip to Phezzan. Reinhard’s sister and wife tend to him as he lays bedridden. 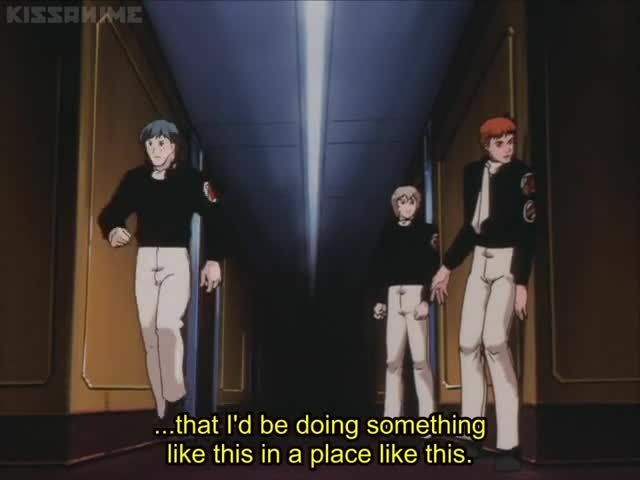 Oberstein releases a rumor that the Kaiser plans to destroy Earth to drive out the remaining Terraists. Julian and friends notice the Earth cultists at the hotel and kill the last of the Terraists. Oberstein used himself as bait and died in place of the Kaiser, although it’s not known for certain. Reinhard is surrounded by all his admirals, family, and ministers as he prepares to die. Reinhard wants to leave his son with a friend equal to Kircheis and chooses Mittermeyer’s adopted son. The Julian fleet members go their separate ways. On July 26th of Space Calendar 801, New Imperial Calendar 3, Reinhard dies, after leaving the Empire and the decision to institute constitutional reforms in his wife’s hands. At the Mittermeyer estate young Felix reaches for the stars, echoing Reinhard’s ambition.